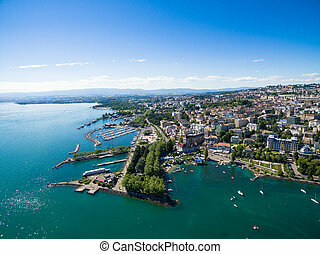 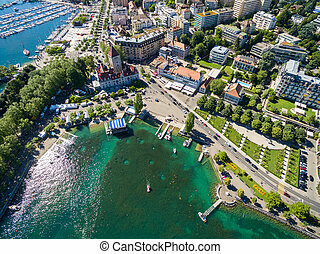 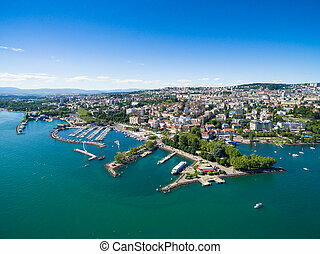 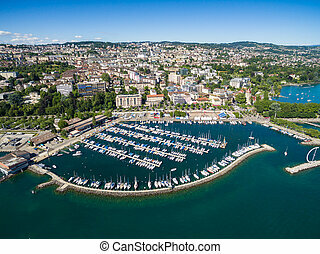 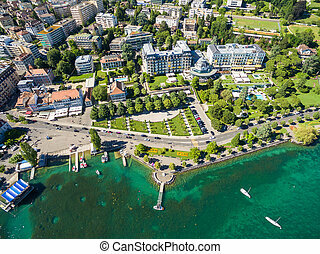 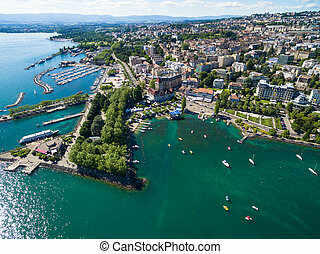 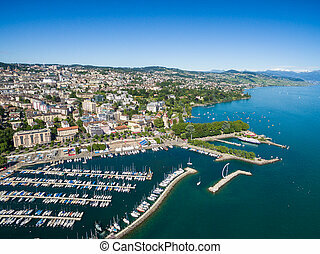 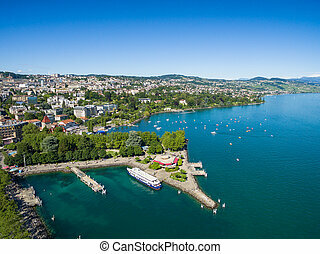 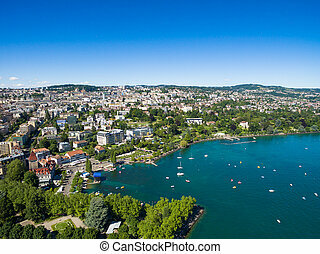 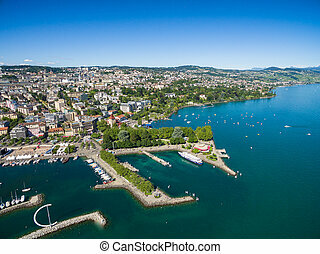 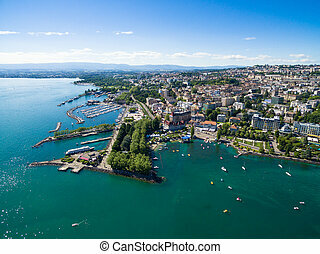 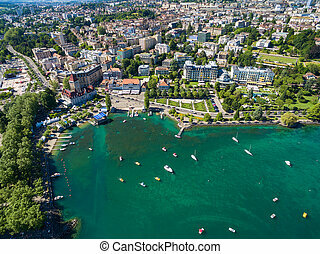 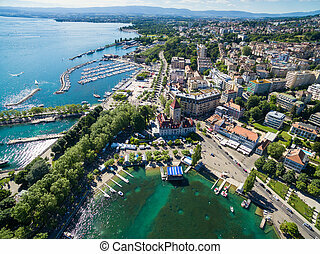 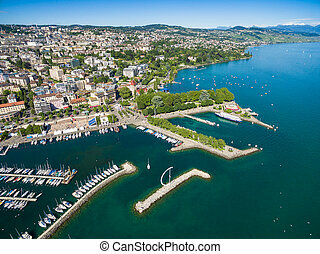 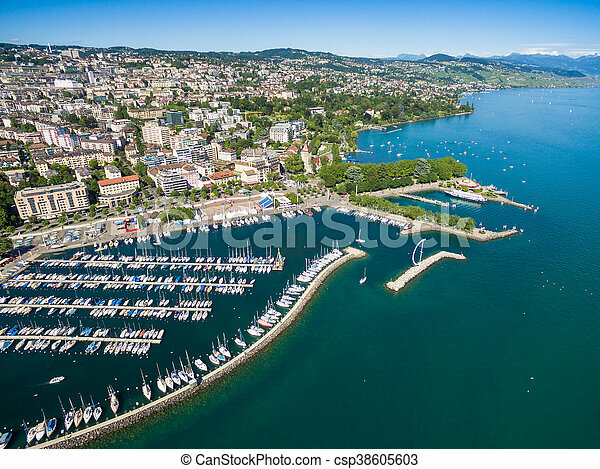 Aerial view of ouchy waterfront in lausanne, switzerland. 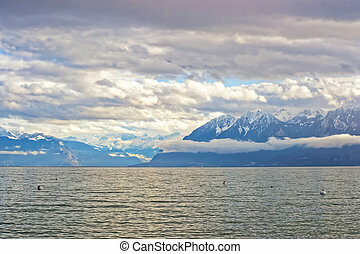 Lausanne quay of Geneva Lake and mountains in winter Ouchy in Switzerland. 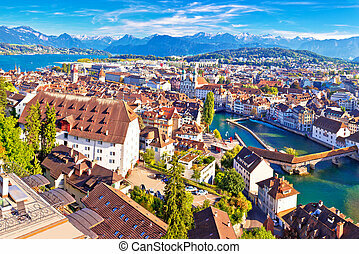 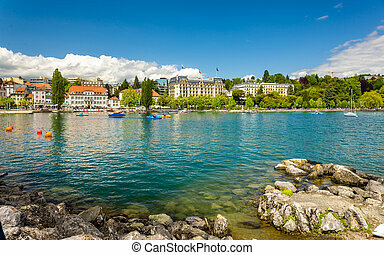 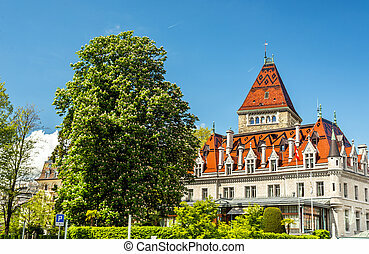 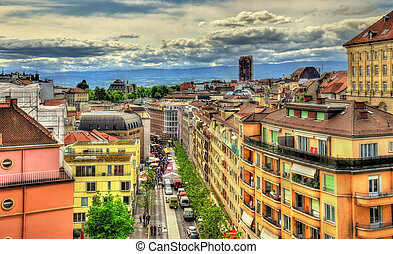 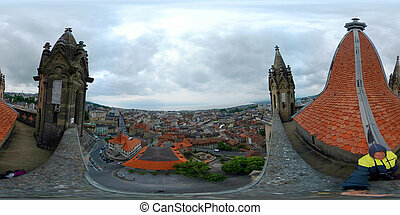 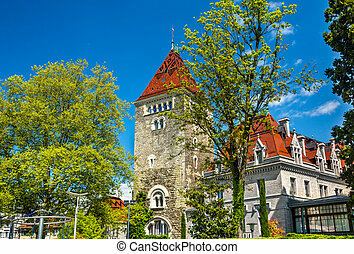 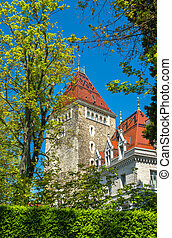 Lausanne is a city in Switzerland. 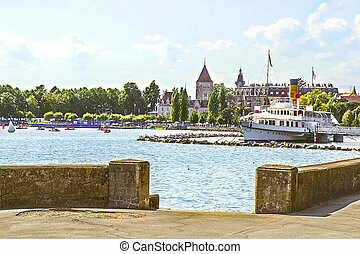 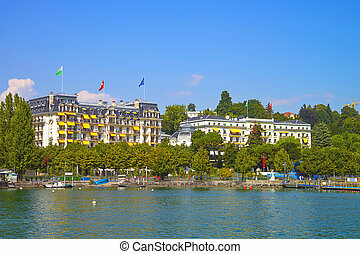 Ouchy is a port and popular lakeside resort in Lausanne. 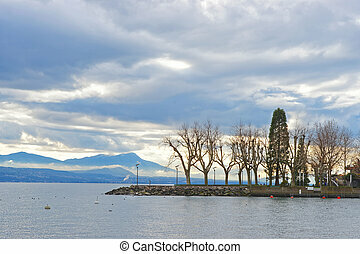 Lausanne quay of Geneva Lake with trees in winter Ouchy in Switzerland. 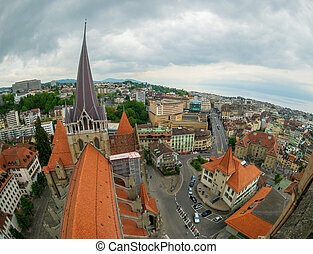 Lausanne is a city in Switzerland. 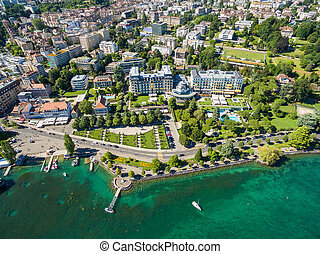 Ouchy is a port and popular lakeside resort in Lausanne.